The panelists in the FutureWeb session on web analytics may have given the audience quite a surprise when most agreed that analytics is somewhat failing in today’s society. Panelists included Nathaniel Lin, president for advanced analytics at Aspen Marketing Services, John Lovett, senior partner at strategy firm Web Analytics Demystified, Phil Mui, senior product manager for Google Analytics and Bob Page, VP, analytics platform at eBay. Michael Rappa, founder and director of the Institute for Advanced Analytics, moderated the panel. Page said businesses need to understand how to use analytics better. In turn, Mui said analytics need to be easier to use for businesses. 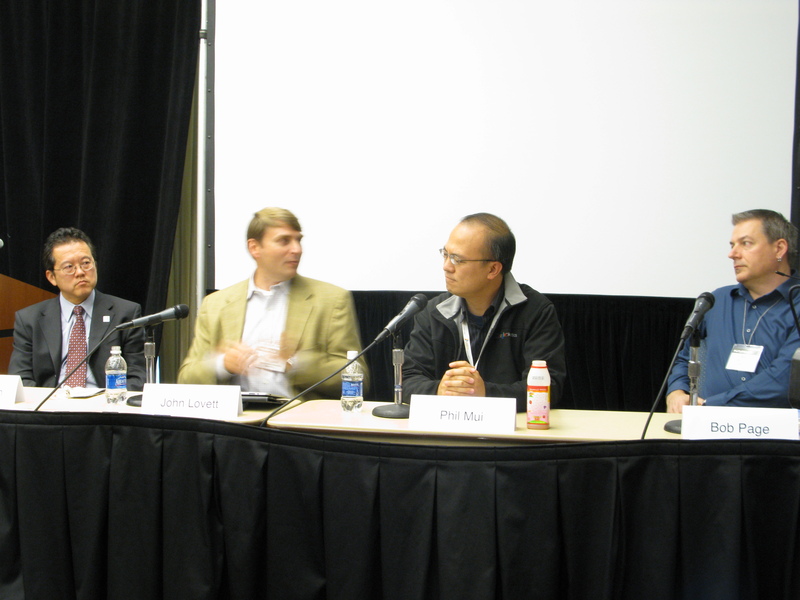 The panelists agreed the rise of social media has also played a role in how web analytics is used. But the ways businesses utilize social media can be dangerous, Lovett said. “Many organizations don’t have a strategy for social media.” he said. He described how business create Facebook and Twitter pages but don’t understand how to use the data they receive from those platforms. “I think that web analytics, to a certain extent, needs to get easier for the masses,” Lovett said. Lovett also said there is a problem with web analytics and standardization. Page said a lot of it has to do with the dismissal of collaboration among people. Lovett also said there is a lack of confidence when it comes to web analytics. “If we want analytics to rise up to the sea level of an organization…there has to be a huge amount of confidence behind that data,” he said. Web analytics is making progress though, Lin said. He said consumers need to start realizing the importance of data and it should not just be used to observe market trends. Otherwise, he said, the demand for data will grow in the coming years.